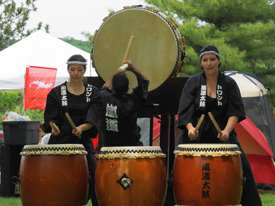 Literally Japanese for "big drum", the ō-daiko is the biggest drum belonging to a group. 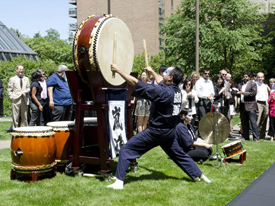 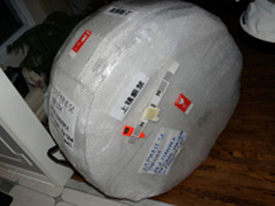 We got our new ō-daiko earlier in the summer of 2012 brought back from Japan by our founder. 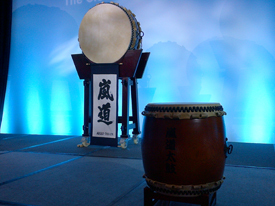 Measuring nearly one meter in diameter and weighing over 30kg -- and that's just the drum; the stand is another 60kg -- it's so big that we had to reevaluate how we transport drums to performances!